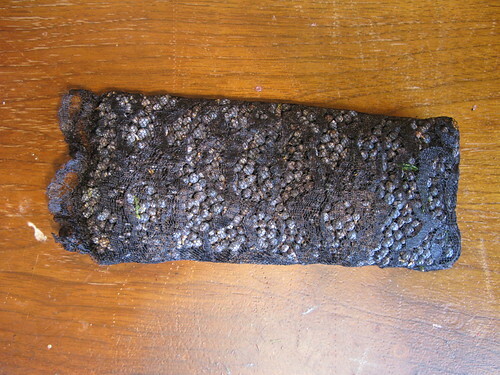 Juniper Berry sachet, a photo by Meetzorp on Flickr. While running the dog, I found a bunch of windfall juniper berries today, so I completely filled my jacket pockets and made several juniper-berry sachets. I put this one in my lingerie drawer, ’cause delicates that smell of G&T are never the wrong answer.